Spencer Savings Bank recently hosted a school supply drive to support the Bergen Volunteer Center in Hackensack. The three week drive, held at the bank’s headquarters and branches, collected more than 250 school supplies for the children. Supplies included binders, pencils, notebooks, backpacks and more. Items collected will benefit clients of the Mentoring Moms and Mentoring Youth program. While most families across the nation are out shopping and getting ready to head back to school soon, not all children will have access to this. For many, purchasing brand new school supplies is a luxury. 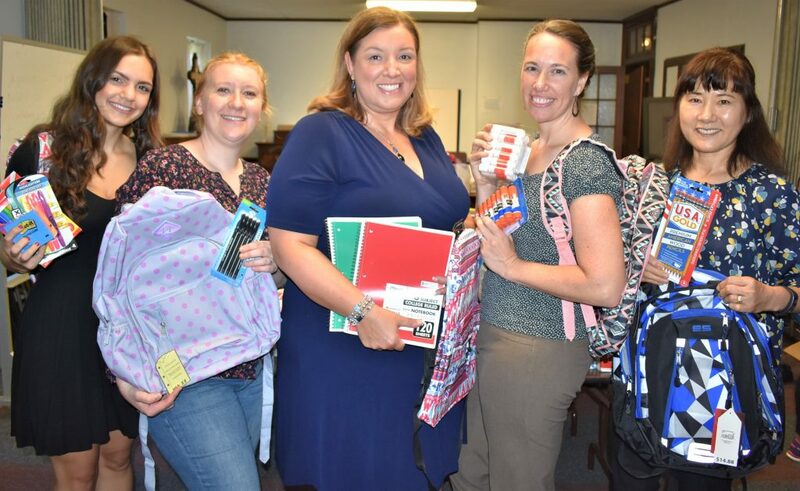 The Bergen Volunteer Center’s “Tools For Schools” program helps needy families in the area get the supplies they need and excited about the new school year. The program provides school supplies for hundreds of children who are from low-income families, in foster care or who are homeless. Spencer employees recently visited the center to drop off the supplies and meet with some of the staff members. For more information on the Bergen Volunteer Center or to see how you can support them, please visit bergenvolunteers.org.